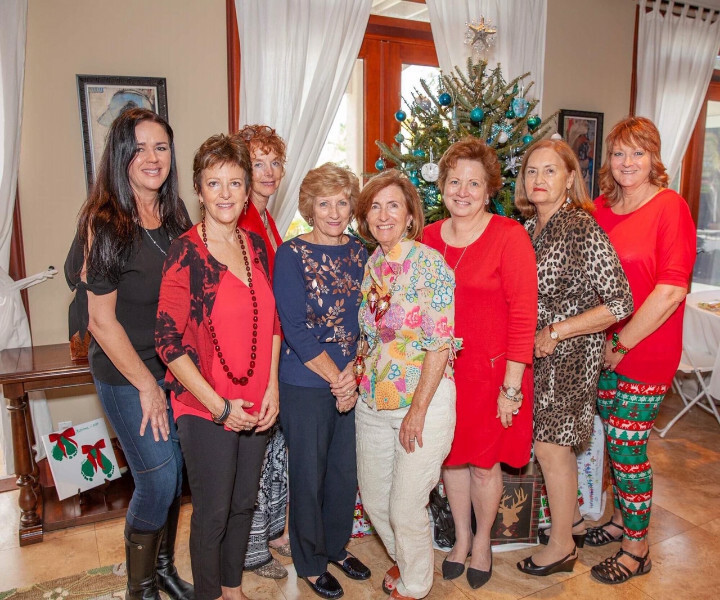 The Executive Board of the Grand Bahama American Women’s Club at their holiday luncheon, where 174 Christmas presents were collected by local children. Composed of women of Bahamian, American, Canadian and European origin, the service and social club is seeking new members. From left to right: Angie Nash, Poppy Chitwood, Jo Morasco, Syl Clift, Katybel Taylor, Peggy Groves, Louise Durocher and Dawn Rader. Freeport, GB, Dec. 18, 2018 – The Grand Bahama American Women’s Club’s 16th annual golf tournament launches Feb. 23., 2019 at the Reef Course in Freeport. The fundraiser, which has generated over $100,000 for high school scholarships in recent years, draws dozens of golfers from on and off the island. In 2108, the GBAWC awarded scholarships to 21 students, and donated to The Children’s Library, Girl Guides, Grand Bahama Humane Society, Rand Nature Center, Regency Theater, Reef Ball Project, Salvation Army, Sailing Club, Us Too Prostate Cancer Awareness and the YMCA for summer camp programs and community improvement projects. GBAWC members also conduct hearing and sight tests at schools across Grand Bahama. In 2016, post Hurricane Matthew, the club collected and delivered relief supplies to the West End. This year, members donated 174 children’s Christmas presents and cash to the Vicky Martel toy drive. Founded in 1966, the GBAWC welcomes women of all nationalities, and in 2018 amended its bylaws to enable non-Americans to run for executive offices. Social activities include a monthly luncheon at local restaurants and members’ homes, and the New Adventure Bound program, which recently journeyed to the East End, Gold Rock National Park and Bishop’s. In 2019, participants will visit Paradise Cove and local art studios.